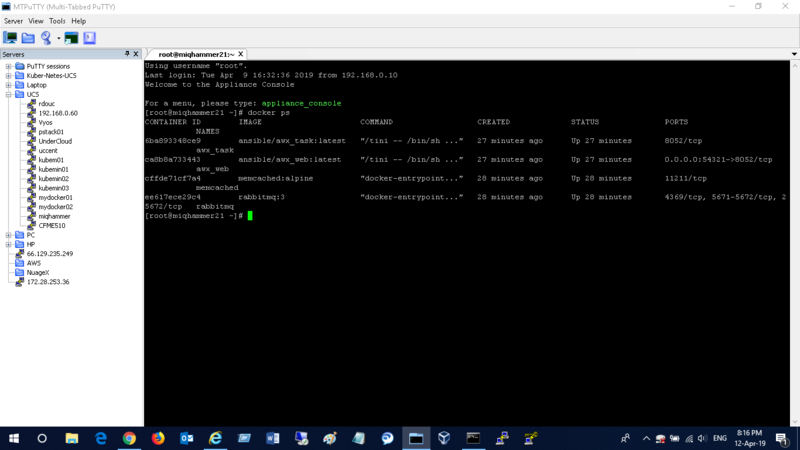 I can enable embedded role in the configuration and the containers do start. as shown below. However they seem to restart. Did you install awx into the appliance? ManageIQ only works with awx, but it is not installed by default. Since latest build of awx on docker, integration is broken with MIQ. I have a never ending loop after enabling embedded ansible. Also notification on event tab keeps popping up.